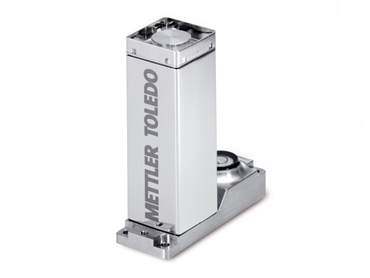 The ultra-compact WMC high-precision weigh module from Mettler Toledo was recently honoured with the Good Design Award by the Japan Institute of Design Promotion (JDP). The product is now designated the award’s ‘G Mark label’ recognised globally as a symbol of innovative design. Mettler Toledo’s WMC weigh modules are ultra-compact electronic balances that can be integrated in a small space for high-precision weighing with an accuracy of 10 micrograms. The WMC can also easily be arranged into arrays with multiple units for parallel weighing to increase throughput. The Good Design Awards represent ‘a system that aims to channel the eminent powers of distinctive designs to build prosperous lives and encourage sound industrial development’, according to JPD. A jury of about 60 design experts fielded more than 3,000 submissions from 1,000+ companies globally in this year’s competition. According to the evaluators, the WMC’s simple design with a rectangular column housing in stainless steel conveys a sense of high precision. This design could provide inspiration for machine designers looking to create new solutions for automated processes in the future.